Zelenskiy will face incumbent Petro Poroshenko, who won just under 16 percent. Zelenskiy’s strong performance caught some off-guard, but the results of the election says at least seven important things about Ukraine. Ukraine is a genuine democracy. Unlike Russia, Ukraine’s elections are loud, messy, and unpredictable. No candidate was confident of victory before the vote. Despite a Russian disinformation campaign to discredit the election as bogus, there was no large-scale fraud. Regional divisions used to determine the outcome of Ukraine’s elections. The western and central parts of Ukraine tended to favor “pro-Western” candidates while eastern and southern Ukraine favored more “pro-Russian” ones. The first election after the Euromaidan broke this trend; in 2014 Poroshenko won the election outright with almost 55 percent of the vote, and with little trace of an east-west split. Russia’s annexation of Crimea and occupation of parts of the Donbas cut off 5 to 7 million voters. After the Euromaidan, Ukrainian society became more Western-oriented. Now this trend continues. Zelenskiy is a Russian speaker from Russophone eastern Ukraine with clear anti-Kremlin rhetoric. He expresses sympathy for the Euromaidan but until recently had business in Russia (and his team still does). He is a “hybrid” candidate, and symbolizes some important trends taking place in eastern and southern Ukraine. He is a mirror of people living in these regions who had pro-Russian or pro-Soviet views, but after Russian aggression, they no longer have illusions about Moscow. At the same time, they cannot identify with the Ukrainian cultural project. They silently share former Ukrainian President Leonid Kuchma’s slogan “Ukraine is not Russia,” but they do not know exactly what Ukraine is. In this sense, Zelenskiy is part of a post-colonial society slowly moving from its post-Soviet identity to something more modern and western. Of the top five candidates, only Yuriy Boiko is explicitly pro-Russian. The other four top candidates have declared their support for EU and NATO membership. The run-off will pit two candidates who want Ukraine to join both. This was not always the case. In 2010, 2004, 1999 and 1994, a pro-Russian candidate faced a pro-Western one. Ukraine has come a long way. Zelenskiy isn’t pro-Russian, but many voters find his pro-European intentions too vague. He has called for a referendum on NATO membership, for example. Zelenskiy’s campaign was unusual even for Ukraine’s carnival-like and populist political culture. Unlike most populists, he did not promise anything in his campaign; there were no pledges to increase wages or pensions or to decrease utility prices. His slogan “No promises, no excuses” cleverly captures what is essentially a savvy marketing campaign. "Populism 2.0" means that instead of promising what policies he would give his voters, Zelenskiy promised himself. He showed himself to be a cool guy, an ordinary fellow, which will be a game changer in traditional Ukrainian politics. In this case, he was no longer selling a policy to the citizens; he was selling a well-packaged product of his own image. 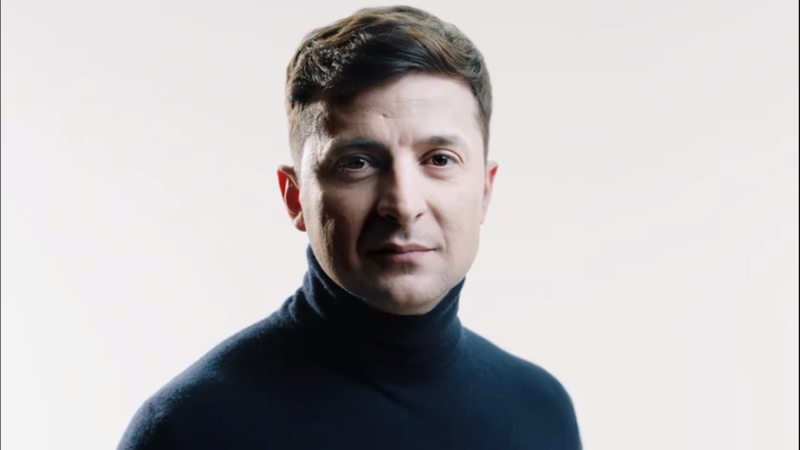 Zelenskiy’s campaign merged politics with entertainment. In his hit TV series “Servant of the People,” he plays a humble history teacher who accidentally becomes Ukraine’s president. The series started as a TV product, but it became a powerful political tool. It was a deceptive strategy. During the campaign, Zelenskiy didn’t hold traditional rallies and give big speeches. Instead, Zelenskiy and his comedy team traveled across Ukraine giving concerts. People came to laugh and relax, but they received a big dose of politics as well. There are many salient criticisms of Zelenskiy, but perhaps the most valid argument is that he lacks national security and foreign policy experience. He could end up being an incompetent supreme commander and the country is at war. It is difficult to imagine the Ukrainian army or Russian President Vladimir Putin taking him very seriously. Zelenskiy’s success shows that many Ukrainians underestimate these security risks. Putin wants Ukraine to be weak and chaotic, and Zelenskiy may deliver just that. Putin wants Ukraine to be weak and chaotic. Zelenskyi may deliver just that. Zelenskiy’s success also shows that Ukrainians want real change and a better life. The big issues in round one revolved around reform, not foreign policy. Is Zelenskiy a reformer? It’s too soon to say. Some of his advisors have strong reform credentials, but they may or may not get hired if Zelenskiy wins. Ukrainians often tell pollsters that they value “stability” and “order” as key values, but their choice on March 31 indicates that they are ready to experiment and take risks. It’s often said that Ukraine is changing. Sunday’s race is yet more evidence that the country is dynamic and on the move. Whether that change will bring citizens what they want remains an open question. Here are key things you need to know about the upcoming presidential elections. The first round will already take place on 31 March.